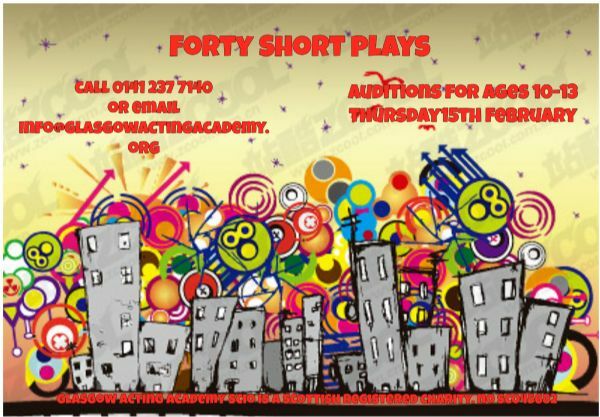 "Forty Short Plays" covers a wide range of genres; funny plays, serious plays, plays that deal with important issues and situation plays. This is a great play to showcase your skills and ability. 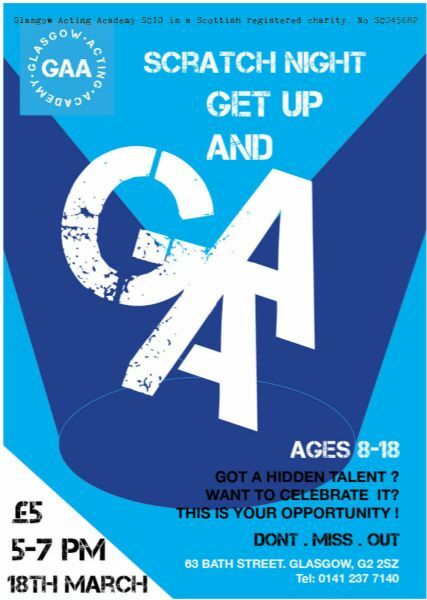 A workshop audition for ages 10-13 will be held on Thursday 15th February from 5pm-8pm. On March 18th GAA will be hosting a scratch night for our students. If you want to perform and show off your skills in a relaxed and pressure free environment Get Up And GAA is the night for you. Come along at 5pm on Sunday 18th March for a fun night of entertainment. Participating in the evening is only £5! This Easter the smash hit Broadway musical Anastasia is coming to GAA. Workshop the brilliant numbers throughout the week and perform a showcase for friends and family. This week will run from Monday 2nd - Friday 6th April and is available for ages 10-18. The cost of this week is only £40 so book a place quickly to avoid disappointment. 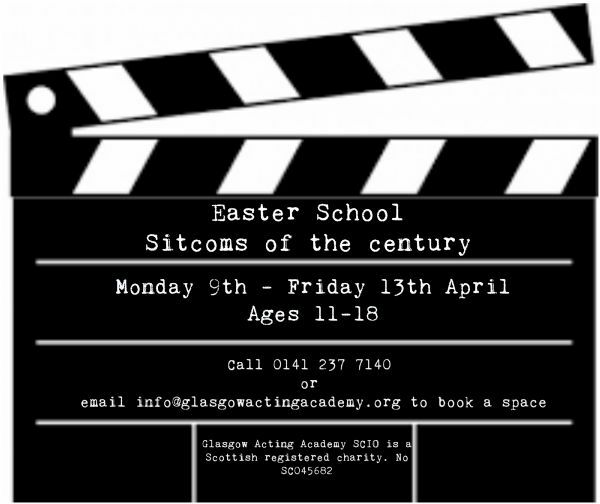 Work on the best of British and American sitcoms in this film & TV easter school from Monday 9th - Friday 13th April (Excluding Wednesday). Have the chance to work behind and in front of the camera in a laugh out loud week at GAA. 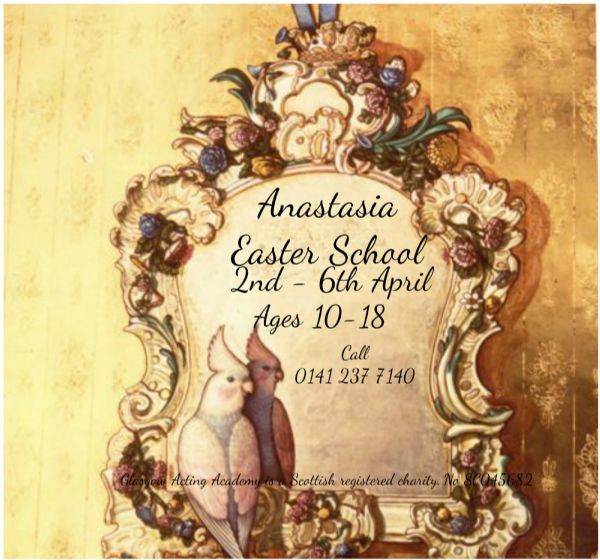 The cost of this Easter School is £40 and is for ages 11-18. Limited spaces are available so sign up quick to avoid disappointment. 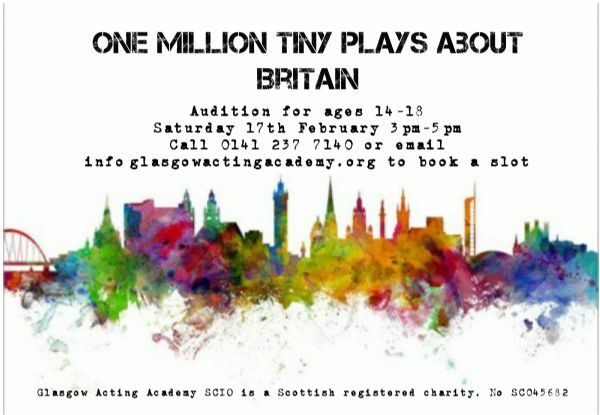 For further information please call 0141 237 7140 or email info@glasgowactingacademy.org.